Many scientific publications have already described the tasks of the two proteins S100A8 and S100A9. But so far, it has not been clear to researchers whether these two proteins acted alone or in conjunction with each other. 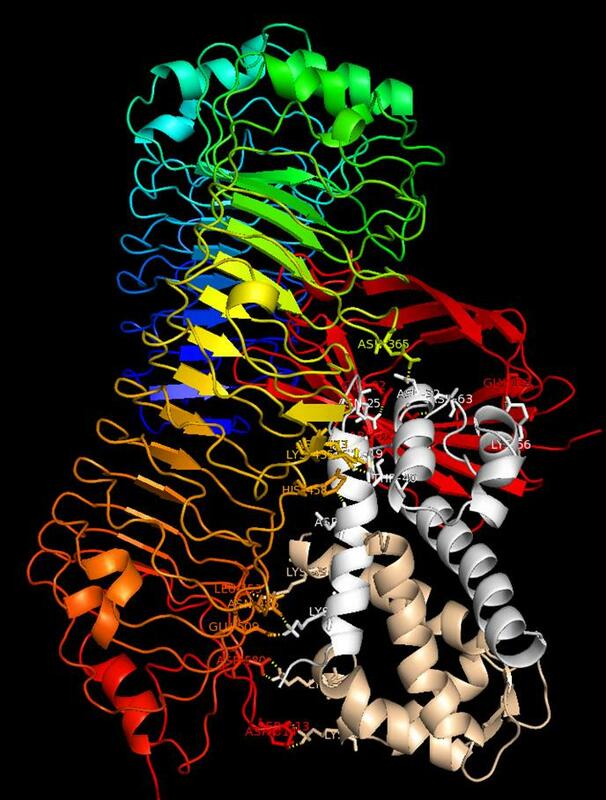 The Münster researchers have now been able to show that the proteins always work as a heterodimeric protein complex composed of both S100A8 and S100A9; in other words, a complex where both proteins are firmly associated. As soon as it is released, the heterodimer complex binds to a TLR4-expressing cell, triggering a suitable immune response via this receptor. Importantly, the S100A8/S100A9 heterodimer complex only has a short life time to spark this initial impulse: If it does not find a suitable target cell for activation, two individual heterodimers associate to form a heterotetramer; in this form, each heterodimer complex is inactive. This mechanism guarantees that the body will only trigger an immune reaction where needed – in other words, the inflammatory reaction remains localized. The researchers also showed that as soon as this regulation is disturbed so not all of the excess S100A8/S100A9 heterodimer complexes can form tetramers, the result is an exacerbation of disease: "Too many heterodimers remain active, trigger a strong immune response and act systemically in the entire body," explains Prof. Thomas Vogl, the lead author of the study. This is a process that is, for example, behind blood poisoning – but it is also relevant for many autoimmune diseases, rheumatoid arthritis, allergies, inflammatory skin diseases and even cardiovascular diseases.